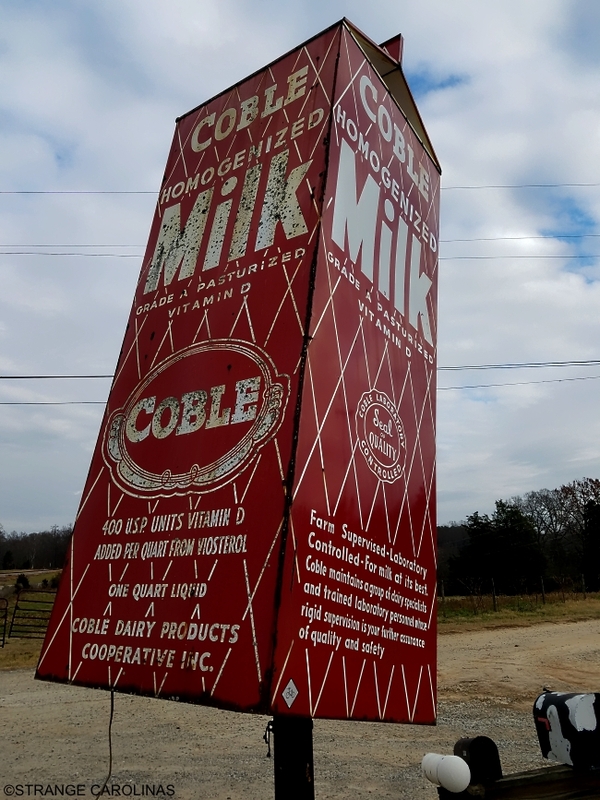 There are several giant milk cartons in North Carolina, but this particular carton in Mt. Ulla is the only one that promotes Coble milk. It's not far from Mooresville and looks awesome next to the cow-print mailbox. 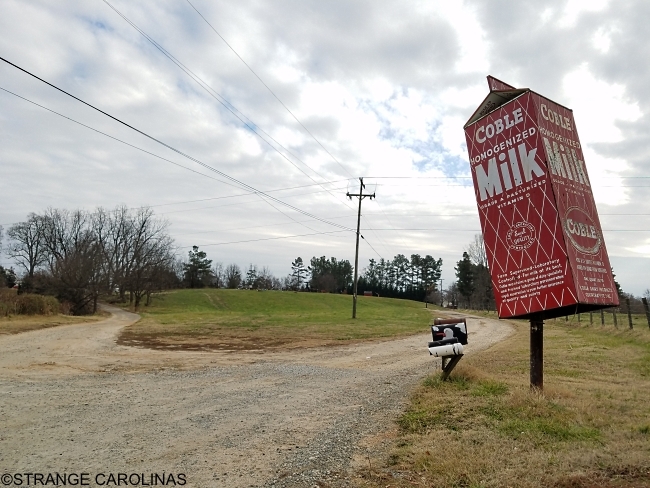 This carton was removed from the Rockingham, NC Coble Dairy Distribution center. It was cut off with a torch and left in the scrap pile after the facility was sold. We were producing milk for Coble at that time and I asked for the carton. I was told to take it and that it would fit in the back of my pick up truck. It took the better part of a day for me and a high school kid to get that beast on a trailer. Once we got it home, I dug a big hole for a concrete base and the carton was set in place by the local National Guard unit. It has been marking the entrance to Mary L. Farm for over thirty years.